This post is about three of my most favorite-ist things: clothing, time with my lady friends, and wine. 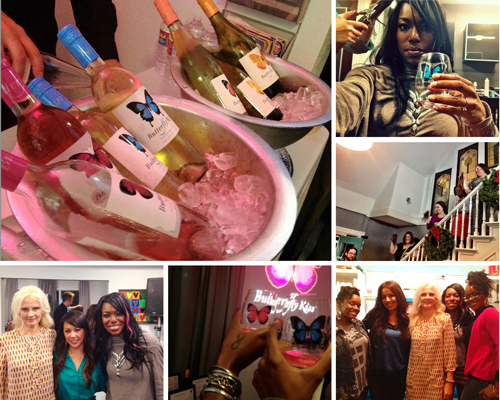 To celebrate the launch of their new female-centric brand of wines, Butterfly Kiss hosted Ladies Night Out events across the country. I attended the Dallas event at Beauty Box Salon where wine tastings were paired with salon services like hairstyling and manicures. I wore a statement necklace via Charming Charlie over a backward wrap sweater via Target (see more ways to wear a wrap sweater here), fitted striped shirt via Forever 21, oxblood skinny pants via Windsor Store, and ankle boots via Forever 21. My hair is topped with clip-on pink human hair extensions that were given away during the event. Here’s a daily outfit/ootd/event video I whipped up…. 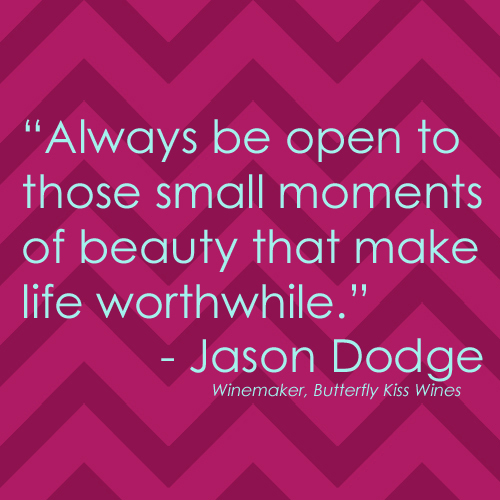 Winemaker Jason Dodge created these new wines to reflect his motto: “Always be open to those small moments of beauty that make life worthwhile.” The lively, bright flavors and lifted aromatics are kissed with distinctive touches that make Butterfly Kiss wines one of life’s pops of pleasure. My friend Jacki, my sister, and I enjoyed our girls night out and even learned some hair tricks from stylist Michelle Huynh. The event also benefited Locks of Love and monetary as well as hair donations were made. PINOT GRIGIO – a delicate, light wine showing kisses of citrus and ripe pear. PINK PINOT GRIGIO – a rosé-styled wine showing lively flavors of strawberry shortcake and bright citrus. CHARDONNAY – features lush, tropical fruit flavors, kissed by a touch of vanilla. MOSCATO – a lovely, well-balanced sweet white wine loaded with stone fruit and citrus. After sampling the four wines, Pink Pinot Grigio and Moscato were my favorite. If Rosé and Pinot Grigio had a lovechild, it would be Butterfly Kiss’ Pink Pinot Grigio. It is a one-of-a-kind wine that tastes outstanding. The moscato hails from Chile and tastes like sweet perfection. With the holidays just around the corner, Butterfly Kiss encourages women to take a moment to unwind and enjoy time with friends while treating themselves to pops of prettiness. Greater Dallas Retail Locations: Tom Thumb, Kroger, Market Street, Pittman Avenue Bev, Total Wine, I-45 Beverage Depot, and Boots Liquor. Such a fun ladies night out!! And you looked great for it! that was a fun event! I wish I could keep Michelle Huynh at my house. 🙂 she’d probably hate that, though. LOL! Sounds fun! I love wine tastings. I’m also digging the backwards wrap. What a great idea. 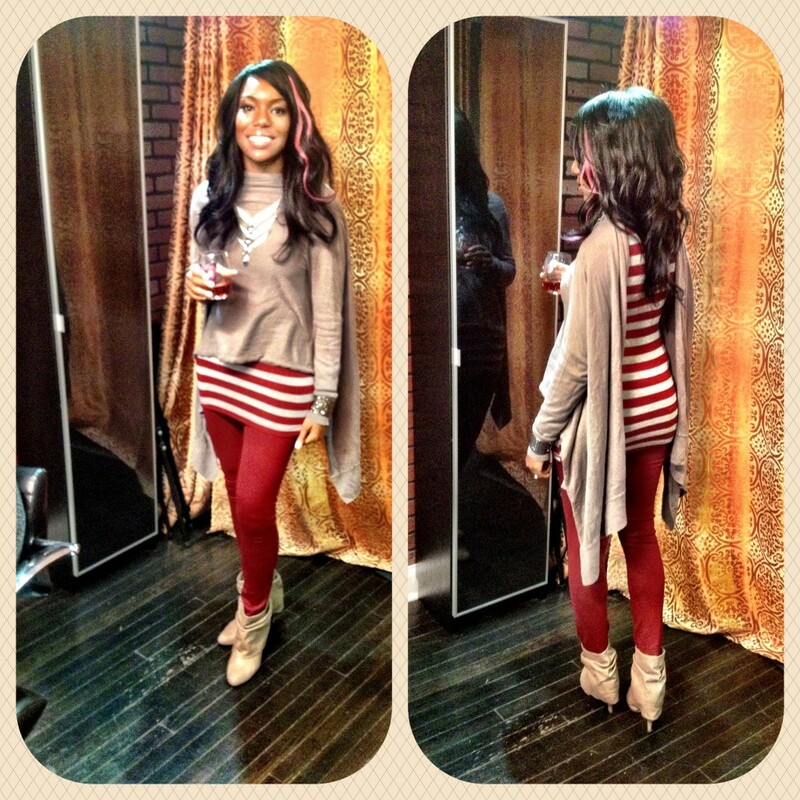 The color looks wonderful with the oxblood skinnies and striped top. 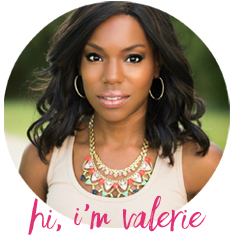 This post features everything I love! You look beautiful and the event sounds like a lot of fun. I will have to look out for Butterfly Kiss Wines. That outfit is so interesting – I’ve seriously never seen a sweater like that. I love it!